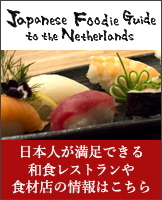 IWC Amsterdam is looking for new Japanese members! This Club was set up by Dutch women over thirty years ago for women of the international community. It is a friendly group offering members from over 50 different countries- including Japan - international friendship and understanding. It is a perfect way to make new friends, discover Holland together and learn more about Dutch life. Also there are a wide variety of activities and interest groups: museum visits, lectures, movies club, bridge, mah jong, embroidery, golf, tennis, choir, lunches and coffee mornings. Although the common language is English, we all speak it in our own different ways! and discover what we are like, we will be happy to welcome you! For example on Tuesday 9 January 2007 there will be a piano concert for our members at the Industriëele Grote Club. Come at 10.30 am for a cup of coffee and we will introduce you to some of our members.